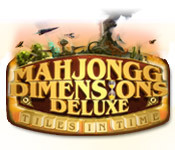 Mahjongg Dimensions Deluxe: Tiles in Time is rated 4.3 out of 5 by 15. 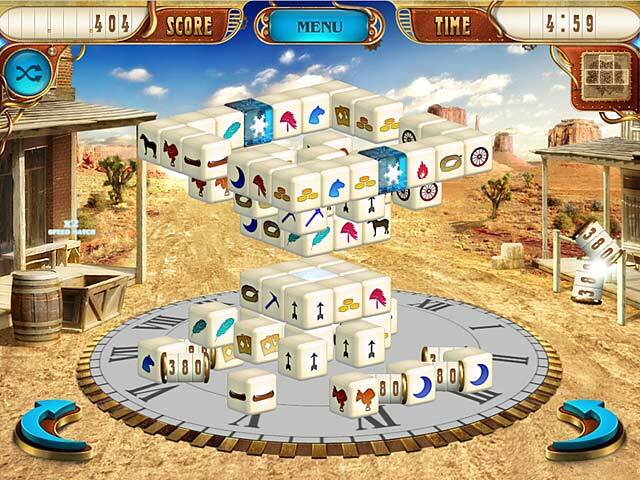 Rated 5 out of 5 by splash1234 from I really like these dimentional type mahjong games I am having fun with this game. The graphics and everything is really nice. Will keep this one so I can come back to it on and off. Great one to replay over and over!! Rated 5 out of 5 by meme2222 from Press the untimed mode not Play This game is very challenging with the time mode so I'm glad it has an untimed option. At first I was confused about the untimed button that seemed always ON. So when I pushed play I was surprised it had a timer and I wondered what the heck. I found out later in order to get untimed DO NOT PRESS PLAY, that IS the timed mode. Click only the untimed button and it will start new game without the clock. You cannot switch back and forth because the games are separate. So the PLAY button really is the Timed Button. In untimed mode you strive for up to 3 stars on the level. It goes by score how many stars you will get. You will have time to plan out strategy to get successive combos with same match or quick play to get multiple score. So it does give you some challenge but still not a rush, rush. I think you can meet the score of at least one star no matter how long you take. You should try to get the object tiles first to score bigger. Object tiles are similar to gold tiles in mahjong and will end layout in final puzzle plus will give you extra points for tiles. I liked the strategy of trying to uncover these special tiles to give bonus points instead of mindless matching, like some other mahjong games that offer no objective but to complete layout. It gives you a challenge to try to get 3 stars so you can unlock the extra objects that will go into completion of your portrait. Timed mode was fun also but difficult. 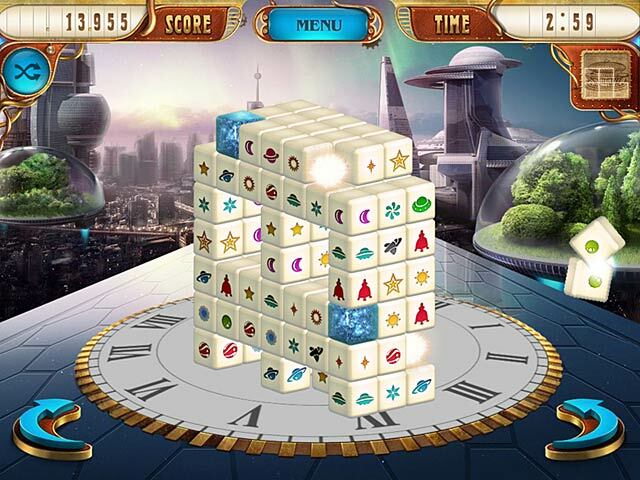 You will compete for stars in score and also try to beat the clock. You will not move on unless you are quick. I wish they had an easy and normal timed mode because I'm stuck in the Egyptian layout. If they only had an option to turn on or off the clock for some levels you find difficult to pass it would of been great. They do have clock power ups that will give you extra time if you can uncover them before time on it runs out or else it Is zero, what a bummer. I think it counts down too fast. I still enjoy trying to beat it. Guess I'll be playing it over and over. I'm recommending this game to those who like a challenge because both timed and untimed will give you this. It has a lot of variables to keep your interest. The 3d movable board, the time and bonus power ups in play, special object tiles, the unlock the levels and compete for stars, the incentive to finish your picture portrait and also to get extra objects added to it. Rated 5 out of 5 by parshila from lovemahjong wonderful and challenging, very intense mahjong, awesome dimensions, but got stuck on Japan (lantern) any tips? Rated 5 out of 5 by NaughtyPenguin from Fun to Play Over and Over A wonderful twist on mahjong the makes it more challenging, interesting, and visually pleasing. This game provides hours of entertainment. Once you've gotten the hang of it going through the first time, you can go back and keep working the puzzles till you get a 'gold' rating. The colorful tiles with bright pleasing symbols make it all the more interesting. I bought it a year ago and I still love to go back and play it. 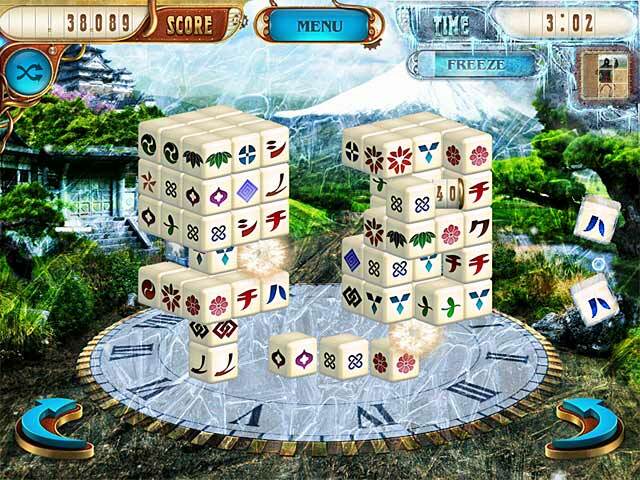 Suitable for beginners and more experienced mahjong players. Rated 4 out of 5 by jazzaxe from Untimed doesn't mean it's not timed... I really enjoy the 3-D effect this game offers. Turning the puzzle to find matching pieces is different and certainly adds to the challenge. The graphics are very appealing and I enjoy the music. I will say that this is not a game for those who truely want "relaxed mode." This game, even though it has option for "untimed mode," really requires you to meet time requirements in certain areas. First, you must meet the score requirement in a certain amount of time, in each regular round, to get 3 gold stars in order to open up the bonus objects. Then, you must complete each bonus item within a set time frame. Failure to do so results in having to redo that bonus item again. This doesn't sound like it's "untimed" to me, and it can be frustrating at times. However, you are not required to open up the bonus items nor finish them to move on. So, keep that in mind when playing the "untimed mode" and I believe you'll really enjoy the game.